Can he fly? Leap tall buildings in a single bound? How about just tell you about a book? No phone booth required! 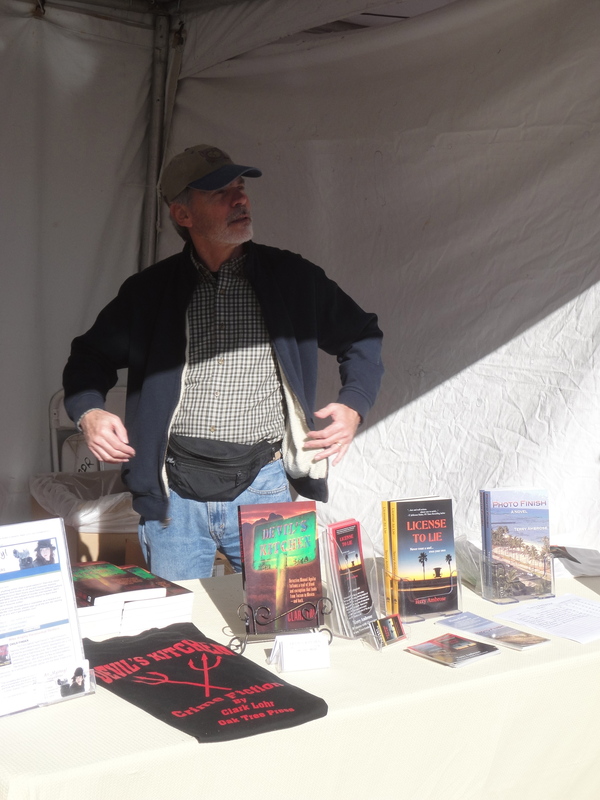 The Tucson Festival of Books is on March 15 & 16 this year and the big question is, will it be warmer than it was last year? We had everything from gorgeous sunshine to rain to snow last year. Granted, there wasn’t a lot of the white stuff, but there were flurries and it felt pretty darned cold to those of us standing out in a booth all day long. Once again, I’m in the All Mystery Writers booth with Rebecca Dahlke. This year, we have a new member, Maria Grazia Swan. Both are mystery authors and Rebecca runs the All Mystery Writers, a publication dedicated to promoting mysteries. We’ll be in booth #116 and will be flanked by Sisters in Crime, Desert Sleuths, and Mystery Writers of America. Talk about location, location, location. For more information about the Tucson Festival of Books, visit their website at tucsonfestivalofbooks.org. The festival draws about 100,000 visitors, will you be one of them? If so, stop on by to say hi!